Visitors can enjoy public swimming beaches at a number of Seattle's beautiful city parks, many of which were designed as part of the 1903 landscaping plan for the city by the famed Olmsted Brothers. Additional beachfront areas are offered at state parks such as Birch Bay State Park or within the lands of the Makah Reservation, which is anchored by the town of Neah Bay. 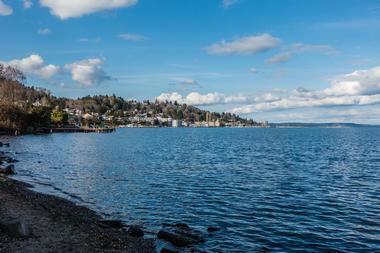 Alki Beach is a charming beachfront strip along Seattle's Elliott Bay, stretching 2.5 miles between Alki Point and Duwamish Head. The beachfront stretch was the site of Seattle's first white settlers in 1851, and by the turn of the 20th century, it had been developed into a bustling tourist area, home to the Luna Park amusement park, modeled after Coney Island, New York's famed seaside attraction. Though Luna Park was destroyed by fire in 1931, a six-foot-tall replica of the Statue of Liberty remains at the beach, rededicated in 2007 following the 2001 World Trade Center attack. Historic sites include the Alki Point Lighthouse, a fully-functional Coast Guard lighthouse offering public tours on the weekends. Beachcombers, sunbathers, joggers, cyclists, and beach volleyball enthusiasts populate the beach throughout the year, which offers cool water temperatures ranging between 46 and 56 degrees Fahrenheit. Birch Bay State Park is a delightful 194-acre Washington state park preserving one of the Puget Sound's few remaining combination saltwater and freshwater estuary habitats. The park and bay, which were named in 1792 by botanist Archibald Menzies for the area's high population of birch trees, is located approximately nine miles south of the city of Blaine in Whatcom County, stretching for over 23,000 feet along the Puget Sound and Terrell Creek shorelines. Stunning panoramic views of the Canadian Gulf Islands and the Cascade Mountains are offered throughout the park, which offers more than two miles of public beachfront for visitors to fish, boat, crab, and clam. A natural game sanctuary is offered at the park's northern end, with opportunities for hiking, picnicking, and overnight camping also available. Carkeek Park is a lovely 216-acre park located within Seattle's Broadview neighborhood, butting up against the Puget Sound's coastline near the tracks of the BNSF Railway. The park is a relocation of Seattle's original Carkeek Park on Pontiac Bay, dedicated in 1918 at the site of present-day Magnuson Park. Beautiful maple and alder forested areas within the park are home to children's playgrounds, picnic shelters, and a wide variety of hiking trails, along with the Carkeek Park Environmental Learning Center, which strives to implement sustainability practices throughout Seattle as the result of citizen initiatives. 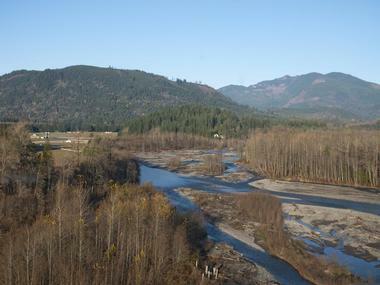 Several creeks run throughout the park's lands, including Pipers Creek, Venema Creek, and Mohlendorph Creek. Visitors can also access the sandy shoreline of the Puget Sound via the Railroad Foot Bridge, which provides safe crossing over the active railroad lines. Dash Point State Park is a spacious Washington state park located along the Puget Sound in King and Pierce Counties, originally developed in 1962 as the site of the 1962 Seattle World's Fair. Today, the park is a hotspot in the Seattle area for skimboarding, hosting several annual skimboarding camps and competitions throughout the year. More than 3,300 feet of shoreline are offered throughout the park, which are also popular with swimmers, windsurfers, fishers, and kayakers throughout the warmer months. Bird watchers can spot a wide variety of shorebird and raptor species, while beachcombers can find crabs and starfish on the beach's shores. 11 miles of hiking and mountain biking trails are also offered, along with 140 electric and traditional campsites, including group accommodations. Golden Gardens Park is a charming public park in Seattle's Ballard neighborhood, originally developed in 1907 by Harry W. Treat to introduce the city's residents to its new electric car lines. Today, the park is well known for its unique shore and migratory bird species populations, ranging from mallard ducks and Canada geese to eagles and seagulls. Two wetland areas are offered at the park, along with a short loop trail for hiking and biking and a restored northern beach area. Visitors can fish at the beach's pier or kitesurf, sail, or kayak within its waters, though beachgoers should note that waters are often too cold for swimming, even during the summer months. Day-use picnic areas, children's playgrounds, and basketball courts are also offered, along with an historic landmark bathhouse and boat launch area. Green Lake Park is one of Seattle's loveliest public parks, anchored around the 259-acre lake of the same name, named in honor of its natural algae blooms. 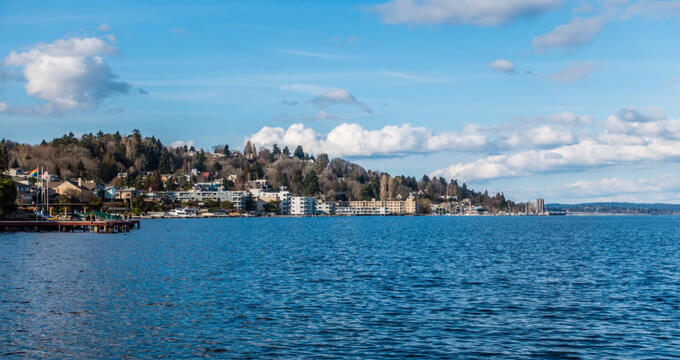 The lake, which is bordered by Seattle's Green Lake, Phinney Ridge, Woodland Park, and Wallingford neighborhoods, was dug by glacial formations from the Vashon Glacial Ice Sheet, which also created the nearby Puget Sound more than 50,000 years ago. Swimming and boating are offered at the lake throughout the summer months, with day-use picnic sites available for waterfront relaxation. 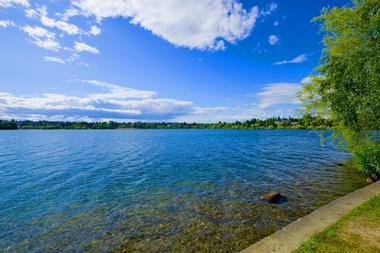 A 2.8-mile walking and biking path surrounds the lake, popular with recreational visitors. Athletic fields are also offered, including areas for lawn bowling, bocce, soccer, baseball, and roller hockey. Leschi Park is a lovely 18.5-acre public park in Seattle's Leschi neighborhood, both named in honor of Nisqually indigenous leader Chief Leschi. The park was originally established as the terminus of the city's Pioneer Square cable car route, which operated between 1888 and 1940. Throughout its history, the park has been the site of Seattle's first zoo, which was relocated to Woodland Park in 1903, and was the site of cross-lake ferry operations before the construction of the city's Lacey V. Murrow Memorial Bridge. Today, visitors can canoe, kayak, and sail on the park's waters or enjoy day-use picnic sites, tennis courts, and a children's playground on its grassy hillside slopes. Locust Beach is one of Bellingham's best-kept secrets for summer recreation, accessible both via the road and the water from nearby Little Squalicum Beach. The beach, which is located along the northern end of the Nooksack River Delta just three miles from the city's downtown district, offers a unique sandy shoreline landscape that is perfect for beach strolling and wading during lower tide conditions. Skimboarding and kiteboarding are extremely popular at the beach due to shallow waters and frequent windy conditions. 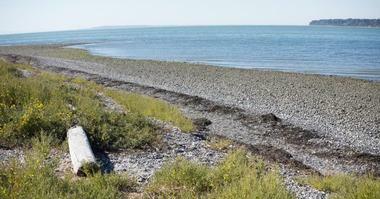 Fishing and kayaking are also frequently practiced, especially at low tide. Beach visitors should note that the beach shrinks to approximately a third of its size during high tide conditions and should plan trips accordingly. Madison Park is a charming public park on the Lake Washington waterfront, located in the Seattle neighborhood of the same name. 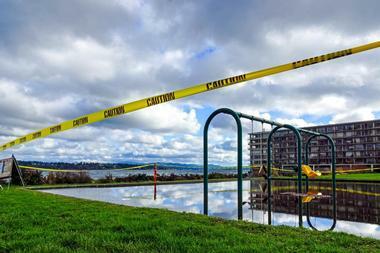 The grassy park, which offers spectacular views of the nearby Evergreen Point Bridge and Cascade Mountains, is home to children's playgrounds, tennis courts, and a spacious public lawn area for stretching, relaxation, and picnics. Its grassy areas gradually slope downward toward a 400-foot beachfront area, which is accessible via cement steps along its northern end. Families can swim and play in the lakefront waters, with lifeguards staffed on duty during the summer months. Amenities include a full bathhouse, a bike rack, and a number of benches for parents to sit and observe children at play. Nearby in the neighborhood of Madison Park, quaint shopping and dining options line the park's border. Mount Baker Park is a lovely landscaped park designed as part of the Olmsted Brothers' master plan for Seattle parks design in 1903. The park, which is located within the Seattle neighborhood of the same name, gently slopes down toward the Lake Washington shoreline, where the Mount Baker Bathing Beach offers opportunities for swimming, sunbathing, and shoreline play. Lifeguards are staffed on duty at the beach during peak hours throughout the summer months. Families can also make use of the park's charming children's playground near S McClellan St., which was recently renovated in 2016. Beautiful park pathways meander through growth of mountain ash, maple, and chestnut trees between the beach area and the surrounding neighborhood. Visitors should note that the park serves as the starting point for Seattle's Bicycle Sunday events and should avoid event days to avoid park and beach crowds. Neah Bay is part of Clallam County's Maka Reservation, which spans 47 square miles throughout the northwestern tip of Washington's Olympic Peninsula at the Strait of Juan de Fuca. 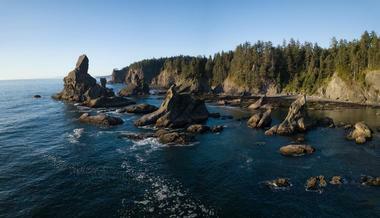 The beach town, which is named in honor of Makah Chief Dee-ah, is accessible to visitors with day-use Makah Recreation Passes, available for purchase directly from the reservation. Visitors can enjoy use of beachfront areas at Hobuck Beach, located along the Pacific Ocean shoreline and offering opportunities for swimming, surfing, beach walking, bird watching, and overnight camping. Youth surf camps are hosted at the beach each summer, along with the annual Hobuck Hoedown surf paddling festival. Scenic Shi Shi Beach is also accessible via a 2.5-mile rainforest day hike and is home to the remains of the General M.C. Meigs shipwreck. Pritchard Island Beach is a lovely beachfront area in Seattle's Rainier Beach neighborhood area, located north of Beer Sheva Park. The quaint beachfront area, which is lined with large cottonwood trees, is home to a swimming raft and beach area offering spectacular waterfront views of nearby Mercer Island and Seward Park. 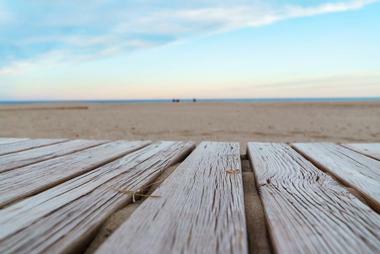 It serves as a much more laid-back alternative to the nearby Atlantic City beach and boat ramp, with ample space to spread out and relax as waters lap the beach's coastline. South of the beachfront area, Pritchard Wetland preserves a variety of native wildlife, including muskrats, herons, chorus frogs, and Western red cedar saplings. The Pritchard Beach Bathhouse may be rented for private special events, comfortably accommodating up to 80 visitors. 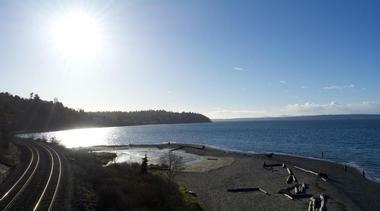 Richmond Beach Saltwater Park is a lovely mile-long beach along the Puget Sound shoreline, accessible via a moderately-steep pathway from Seattle's 190th Street. 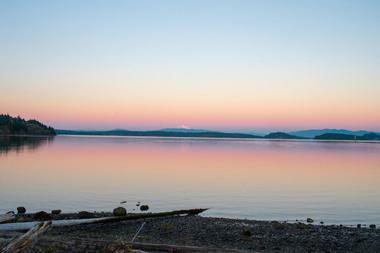 The beach area, which was referred to as q'q'e'waidet for its populations of tobbaco-like plants by the region's Coast Salish indigenous people prior to the arrival of white settlers, offers beautiful views of the nearby Olympic Mountains and is perfect for stretching out and relaxing while waves lap the shoreline. A 10-foot sculpture at the beach depicts a Coast Salish indigenous man and woman welcoming visitors to the beach, while a sundial post names the peaks of the Olympics visible in the distance. 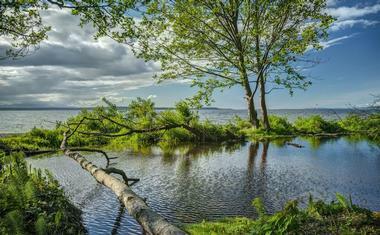 Scattered driftwood logs along the beach make for great places to sit and relax. An off-leash dog area is offered at the beach, along with a children's playground and reservable picnic facilities. 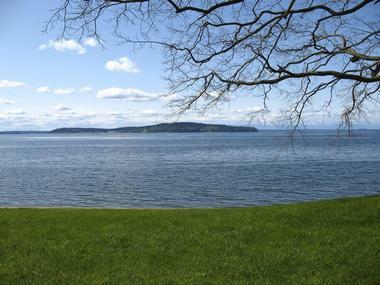 Seward Park is a gorgeous 300-acre park located within the southeastern Seattle neighborhood of the same name, both dubbed in honor of former United States Secretary of State William Seward. 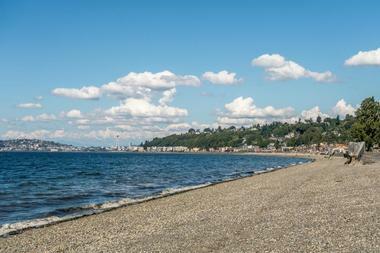 The park, which was designed as part of the Olmsted Brothers' master plan for Seattle's park system, is home to a large public beach along Andrews' Bay, which offers full beachfront amenities and opportunities for swimming and sunbathing during the summer months. Boat launches are offered at Andrews Cove and Bailey Peninsula, and over 2.4 miles of walking and biking trails traverse through the park's old growth forest areas. Other park attractions include a native plant garden, a children's playground, tennis courts, and art studio, and a large outdoor amphitheater used for public special events. Sunnyside Beach is one of two beachfront parks in Steilacoom, offering more than 1,400 feet of beautiful shoreline for visitors of all ages to enjoy on sunny days. 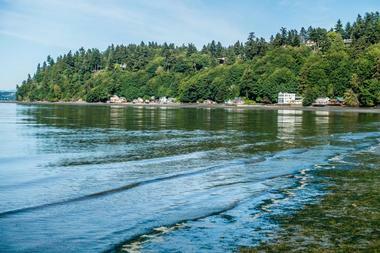 Gorgeous views of the Puget Sound are offered from the beach's shoreline, with chances to glimpse the nearby Tacoma Narrows Bridge on clear days. The beach serves as an excellent spot for beginner divers to practice their skills due to its easy water entry and lack of current sensitivity, though swimmers should exercise caution as jellyfish can be spotted in the water. Shell collectors can also enjoy great beachcombing conditions, and beach sports enthusiasts can make use of the park's beach volleyball courts. Day-use picnic facilities are also offered, along with a children's playground and nature trails.